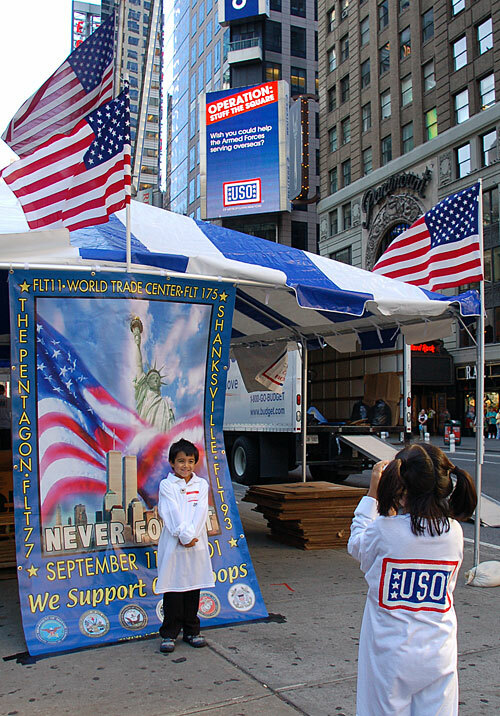 ArtAID teams up with the USO of Metropolitan New York (“USO”) 1st annual Operation: Stuff the Square event in New York City’s Times Square on September 29, 2007. Operation: Stuff the Square impacts the lives of thousands of men and women of the Armed Forces. For this event, the USO will deliver over 5,000 care packages to soldiers serving in Iraq and Afghanistan. We don’t yet know when they’ll be able to come home, but with your help, we can bring “home” a little closer to them. As Americans, we count on them. They count on us. And the USO hopes we can count on you. 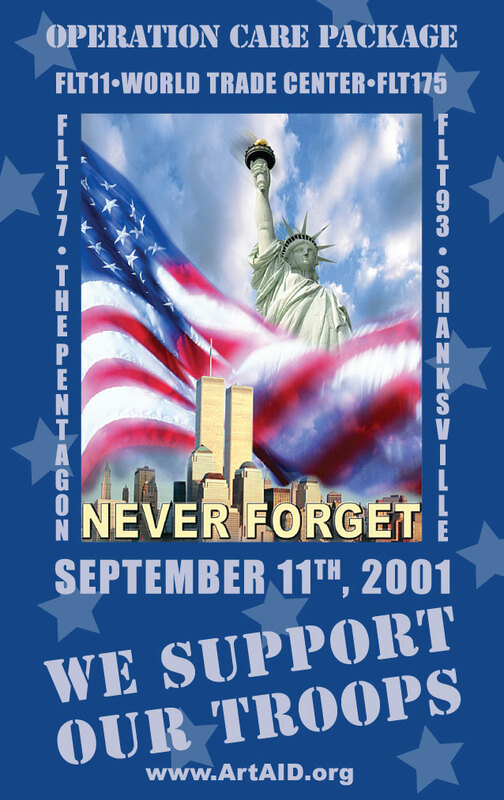 In participating in this event we want to show every GI that ALL Americans support them and that we continue to honor their courage, their loyalty, and their sacrifice. 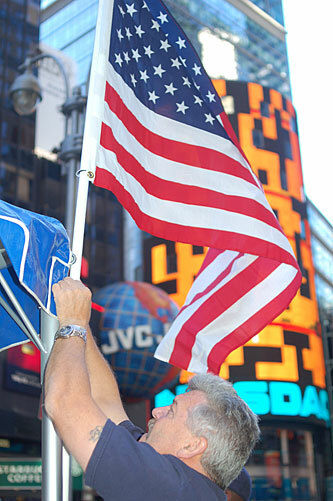 USO Volunteer Eugene Lynch hangs the US flags at Times Square. ©ArtAID 2007 Art in Service of Humanity.